The strategic map of Iran’s immediate neighborhood will change dramatically following the landmark nuclear deal between Iran and the P5+1. Given the tremendous geostrategic stakes involved, Iran has already begun to explore greater opportunities for economic and security cooperation in the region. This has implications for both India and Pakistan, which are tied to Iran strategically but bitterly opposed to each other. Per the realist prescription of international relations, survival in an anarchic world requires all states to adopt certain rational behavior, such as power maximization and balancing strategies. Depending to a large extent on their worldviews, all state leaders translate their perceptions of locational advantages and vulnerabilities into geopolitical strategies. Revolutionary rhetoric apart, Iranian decision-makers have conducted their foreign policy, more or less, in a realist manner by weighing costs and benefits. If implemented, the nuclear agreement will surely mark the start of a new age of Asian geopolitics. Iran is preparing itself for a wider and internationally legitimized regional role in which it can act pragmatically to enhance its reputation and take advantage of commercial opportunities wherever it finds them. Without doubt, one of the modern world’s rising economic powers is India. Today, India is growing at a modest rate, despite some bumps, and is already the world’s third largest economy in purchasing power parity (PPP) terms. It is estimated to become the third largest economy in GDP by 2030. For the past few decades, India’s economy has not grown as fast as it could, or as fast as China’s. Much of this is because of the economic policies of the Indira Gandhi government and the fact that India shied away from a manufacturing-based economy for a long time, instead focusing on a white-collar services sector. While India had a natural advantage in leveraging its educated English-speaking elite to become a destination for American outsourcing, this can only be a limited engine of economic growth for India. For a nation overwhelmingly comprised of peasants and farmers to grow, it needs to focus on industrialization and manufacturing. Despite numerous problems, this has been the underlying understanding of the Narendra Modi government and its economic policies. 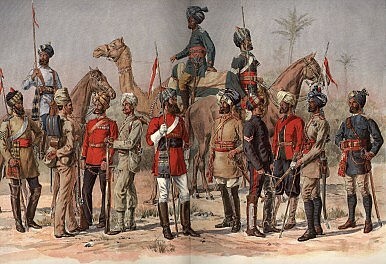 There is much resistance to this, however, since modern India has a historically conditioned wariness towards free trade and manufacturing induced partially in part because of India’s colonization by the British, led by the exploitative British East India Company (EIC). 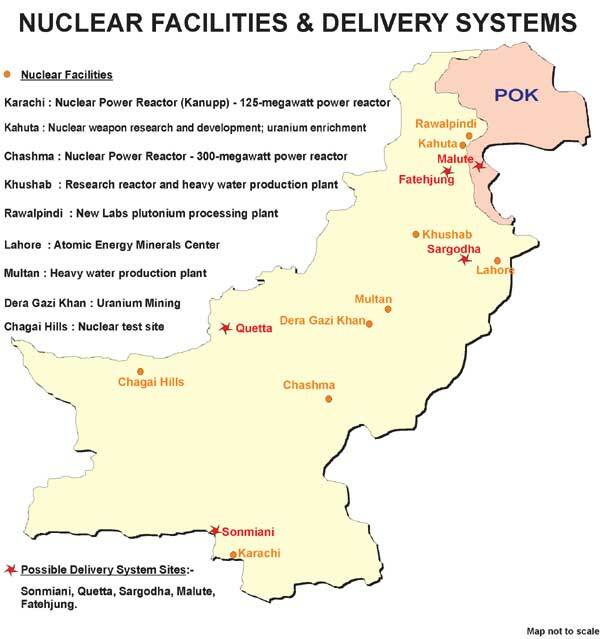 A recent report published by the Carnegie Endowment for International Peace and the Stimson Center, however suggests that Pakistan could become the third largest nuclear stockpile in the world within the next five to ten years, behind only the United States and Russia. The report further states that the fast development of its nuclear head is out of its fear of existential threat from India. The report certainly suggests the reversal of Pakistan’s nuclear doctrine as suggested by Abul Sattar, and is also sufficient to indicate how the new doctrine has been directed against the very basis of demand for nuclear weapons. Pakistan is already ahead of India in numbers of nuclear warheads – some estimate it to be 120 compared to 100 possessed by India. It is expected that Pakistan could have 350 nuclear warheads sometime in the next decade. 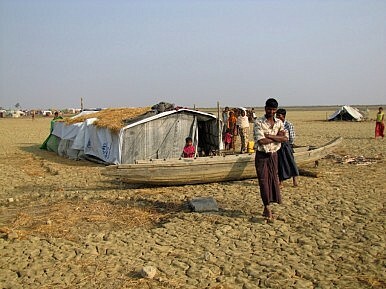 On September 2, 2015, four eminent personalities, including Chittagong District Court’s Additional Public Prosecutors Ashok Kumar Das and Chandan Bishwas; the Vice-Chancellor of Premier University, Chittagong, Dr. Anupam Sen; and International Crime Tribunal’s Prosecutor Rana Dasgupta received death threats in the form of SMS text messages from the banned terrorist formation, Ansarullah Bangla Team (ABT, Volunteer of Allah Bangla Team). The article explains why the Uyghurs (sometimes spelt Uighur) are under China's harsh restriction and analyzes the future policies the People’s Republic of China (PRC) will adopt and possible reactions from the Uyghur side. The recent rise of violent incidents in Xinjiang further entailed Beijing to adopt austere regulation on Uyghur's religious right, which causes great concern in the global Muslim community. As is well known, Muslims in China account for less than two percent of the population, and most of them belong to the two ethnic groups: Hui and Uyghur. The context of the analysis is the two ethnic groups’ responses to assimilation policies. Hui people exhibit a greater level of assimilation to the majority Han people in language and culture, and such Sinification is reflected in greater degrees of indigenization of the Islamic faith. By contrast, the Uyghur people resist assimilation to the majority Han people and submission of their Islamic identity to China’s state nationalism. 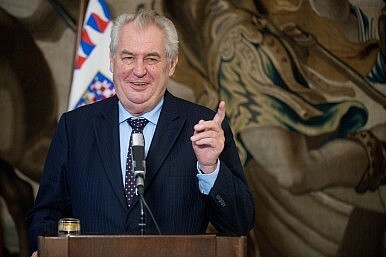 Is the Czech Republic China's New ‘Bridge to Europe’? Earlier this week, the Indonesian defense minister said that the country would boost its defenses near the South China Sea in anticipation of future threats. Defense Minister Ryamizard Ryacudu said that Indonesia will equip the Natuna islands near the South China Sea with a port and extend its military air base runway so that it can accommodate more planes. He also added that more jet fighters would be stationed at the Ranai military air base in Natuna. To close observers, Ryamizard’s comments are consistent with Indonesia’s general approach to South China Sea disputes. As I have written before, while Indonesia is not a claimant, Jakarta has long been concerned that a portion of the surrounding waters of its resource-rich Natuna islands overlaps with China’s expansive nine-dash line claim (See: “Natuna is Indonesian, Not Chinese: Jokowi Adviser”). These remarks are by former Afghan President Hamid Karzai, former Israeli Prime Minister Ehud Barak, former Turkish Foreign Minister Yasar Yakis, and others at the first round of the Non-Governmental Forum of the Conference on Interaction and Confidence Building Measures in Asia (CICA), which was held May 25-26 in Beijing. The conference was full of praise for China. Foreign participants, without exception, spoke of successful cooperation between China and their respective countries or regions, while also touching upon future developments. In turn, Chinese participants emphasized the need for strengthened cooperation. 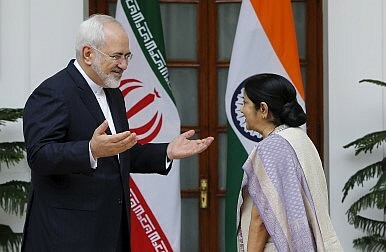 Iran’s foreign minister, Javad Zarif, will visit China on September 15, the Chinese Foreign Ministry announced on Friday. 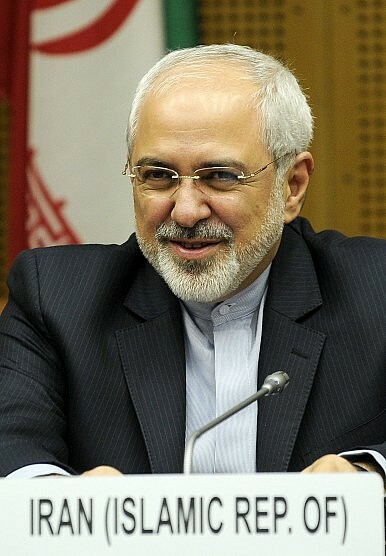 It will be Zarif’s first visit to China since the successful negotiation of a deal on Iran’s nuclear program between Iran and the P5+1 countries (China, France, Germany, Russia, the United Kingdom, and the United States) in July. Chinese Foreign Ministry spokesperson Hong Lei said Chinese leaders hope to discuss “deepening China-Iran relations and enhancing all-round cooperation under the new circumstances,” a reference to the Joint Comprehensive Plan of Action (JCPOA), which calls for the lifting of sanctions on Iran in exchange for limits on the country’s nuclear program. Hong also said Zarif and Chinese officials would discuss the implementation of the agreement. China has been looking forward to a post-sanctions Iran since negotiations first began in 2013. China began upping its imports of Iranian oil in 2014, and received a delegation of Iranian oil officials back in April, before the JCPOA was even finalized. According to Fars News, Iran is currently China’s third largest oil supplier, accounting for around 12 percent of China’s annual consumption. When two South Korean soldiers had their legs amputated due to North Korea’s placement of box mines in the Demilitarized Zone (DMZ), the Republic of Korea responded by blasting weather reports, K-pop hits, and Buddhist teachings over the zone via loudspeakers. Infuriated, North Korea’s Supreme Leader Kim Jong-un raised all military and reserve personnel to a “quasi-state of war,” threatened to turn South Korea into a “sea of fire,” and recommenced broadcasts of their own propaganda. 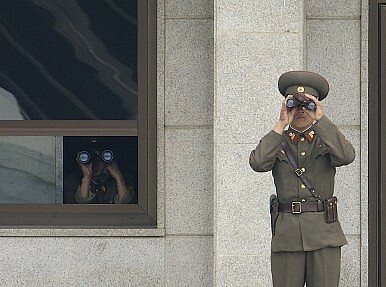 Pyongyang’s Korean Central News Agency then asserted that “the resumption of the propaganda loudspeaker campaign is a direct provocation of war against us,” giving Seoul an ultimatum — stop the propaganda broadcast or be held responsible for it as an “open act of war.” Fortunately, the August crisis was deescalated through high-level talks and marathon negotiations. President Xi announced a 300,000-personnel reduction at the 70th anniversary military parade (China Military Online, September 3). The reduction represents the most significant element of the current military reforms so far made public. 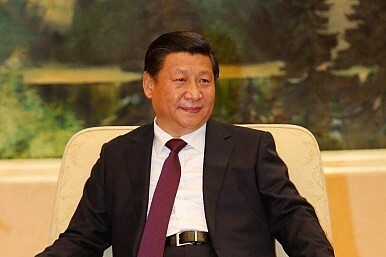 Less contentious elements of the reform plan regarding training, rules and regulations, and military education are already underway, with the major organizational restructuring represented by the establishment of theater joint commands yet to be announced (PLA Daily, August 24; China Military Online, March 25; PLA Daily, January 6). This new round of reforms initially announced in November 2013 will be much more extensive than previous efforts. It is certain that theater joint commands will be formed, probably resulting in some reduction in the number of regional commands, though the lack of announcement on this most significant area could indicate that issues remain unresolved, or was merely delayed for a future announcement. The creation of Chinese theater regional commands would represent a transition to a much more lean and effective military command structure. Throughout 2015 China has been, for the first time, publicizing and revealing details of their special operations (commando) forces. This has included confirming that some of these commandos have been sent to troublesome areas like Iraq, Syria and Afghanistan to protect Chinese diplomats. 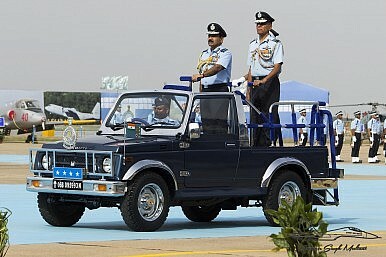 These commandos were noticed because suddenly the Chinese diplomats seemed to have much more efficient security details. 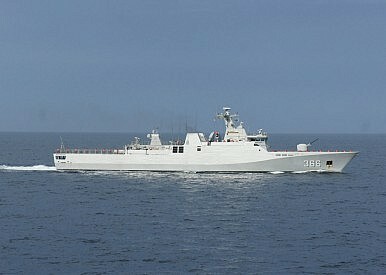 Chinese commando detachments have also been sent along on warships assigned to the anti-piracy patrol off Somalia. Commandos are also believe to have been quietly and unobtrusively included with Chinese peacekeeping forces, especially those sent to really dangerous areas like South Sudan. Other unofficial commando assignments appear to have occurred in parts of Africa where Chinese economic interests require some extra protection. Apparently satisfied that this relatively new (especially for China) type of soldier was performing well the government decided to give the lads some deserved recognition. There are more ominous implications to all this. China has made it clear that it intends to use its special operations troops to protect its “maritime Silk Road” trade routes to the Middle East and Africa via the South China Sea and Indian Ocean. This has got all the nations adjacent to this new Silk Road worried. Taiwan is also alarmed at China releasing a video showing special operations commandos training by assaulting a facsimile of rather distinctive Taiwanese government buildings. After decades speculating on what Islamists would do when they came to power, academics and Islamists themselves finally have their answer. And it is confusing. In the Sunni hinterland between Syria and Iraq, the Islamic State established a government by brute force and implemented an extreme interpretation of Islamic law. On the opposite end of the spectrum, Tunisia’s Ennahda Party governed in coalition with two secular parties, ratified a liberal constitution, and voluntarily stepped down from power. In Egypt, the Muslim Brotherhood presided over a controversial year in power, alienating most of the country’s major political forces before being overthrown by a military coup. These dramatic developments, coming in rapid succession, have challenged, and in some cases undermined, the conventional wisdom on political Islam, and forced policymakers to confront the fact that their knowledge of and capacity to engage with such groups remains limited. The 11 working papers which form part of our “Rethinking Political Islam” initiative are an attempt, drawing on the latest field research from top young scholars, to think more systematically about changes in the mainstream Islamist movement and what to do about it. What lessons should academics, policymakers, and mainstream Islamists out of power draw from these divergent examples of Islamists in power? Fourteen years after terror struck the U.S., our strategy to defeat terrorism is failing. At the tenth anniversary of 9/11, it seemed like we had terrorism on the run; Osama bin Laden was dead, the Taliban was defeated and officials like CIA director Leon Panetta had proclaimed al Qaeda all but finished. But as we mark on Friday the 14th anniversary of the devastating attacks on the United States, it’s time to admit that the terrorists—at least one specific branch of terrorists—are now winning. And it’s time to admit that our response to the so-called Islamic State has been an abject failure. Last year, fighters belonging to the Islamic State in Iraq and the Levant (ISIL), a group once part of the same organization responsible for the 9/11 attacks stormed into Iraq, conquered half that country, declared itself both a state and a Caliphate and set about to slaughter and enslave thousands of Christians, Shi’a, and members of Islamic minority sects. Fifteen months later, ISIL’s influence has spread far beyond the Levant and Mesopotamia. A thousand foreign recruits converge monthly on its operational cynosure. Hailing from some fifty countries they exceed by a factor of ten the average monthly flow of foreign fighters to Iraq at even the height of the war there a decade ago. With financial markets unnerved by an unpredictable Chinese slowdown, and a Chinese economy beset by bubbles liable to burst, we should not forget the critical part that the Middle East and North Africa region has yet to play. If rising tensions in the region push oil prices upward, China - the world's largest oil importer - is bound to be affected. High oil prices could tip the Chinese economy over the edge. China is not the only vulnerable country. The ongoing Eurozone recovery masks underlying weaknesses, and European countries import most of their energy. An oil price surge could be very painful. The same applies to other major energy importers such as India and Japan. Europe has spent years trying to wriggle free from its dependence on Russian energy and the whims of its mercurial president, Vladimir Putin. So why is the continent signing up for a new gas pipeline that will keep Europe hostage to Russian energy shenanigans and outright blackmail for decades to come? Russia’s multibillion-dollar plans to expand the capacity of the existing Nord Stream pipeline across the Baltic Sea to Germany, announced earlier this year, are taking shape faster than most observers expected — and stand in stark contrast to the bevy of other stillborn energy projects Russia keeps announcing. Detachment 88, Indonesia's counter-terrorism unit, inspects a stall after arresting individuals for allegedly planning a terrorist attack (Source: Kompus). Following the 2002 Bali bombings, Indonesia confronted a seemingly unmanageable terrorist problem. Over the next decade, however, the country became widely viewed as a counter-terrorism success story as the threat from al-Qaeda-linked or -inspired jihadist groups declined dramatically. Unfortunately, the transnational pull of the conflicts in Syria and Iraq, and the emergence of the Islamic State, risk undermining Indonesia’s counter-terrorism successes. In the early 2000s, a range of jihadist groups operated across the Indonesian archipelago. These were not initially considered a major security concern by the government, as Indonesia prioritized rebuilding its economy after the Asian Financial Crisis and consolidating its democracy after overcoming a 32-year-long dictatorship. Additionally, most of these groups confined their violence to the islands of Maluku and Sulawesi, where communal conflicts had broken out between Muslims and Christians. Reports of the alleged troop buildup in Syria of a “Russian expeditionary force” to support Syrian President Bashar al-Assad, first appeared last month (August) in Israeli and Ukrainian online publications. The Kremlin denied these accounts, but seemingly halfheartedly (Kommersant, September 8). On September 4, speaking to journalists in Vladivostok after returning from a visit to Beijing, President Vladimir Putin announced he was working to form “an international coalition to fight ISIS [the Islamic State of Iraq and Syria—more recently renamed the Islamic State, IS]” and has been discussing this over the phone with US President Barack Obama and Middle Eastern leaders. According to Putin, the Russian military command was involved in contacts to organize some cooperation “on the battlefield.” The Islamic State is the main enemy and not the al-Assad regime, Putin insisted, though agreeing that “some political changes in Syria are needed, possibly new parliamentary elections.” While the United States and its allies are bombing IS forces with little effect, according to Putin, Russia is “not yet” ready to join such actions. Moscow is sending al-Assad’s forces arms, munitions and equipment as well as providing training, “while considering other options,” but direct military involvement “is not yet on the table.” Putin several times repeated this “yet” and insisted: “We must act jointly to succeed. If we act unilaterally and quarrel about semi-democratic principles and procedures in these territories, we will end up deadlocked” (Kremlin.ru, September 4). Leading Democratic presidential candidate Hillary Clinton this morning delivered a foreign policy speech at the Brookings Institution in Washington. By itself, the choice of the venue was revealing. Brookings served as Ground Zero for centrist think tank advocacy of the Iraq War, which Clinton (along with potential rival Joe Biden) notoriously andvehemently advocated. Brookings’ two leading “scholar”-stars — Kenneth Pollack and Michael O’Hanlon — spent all of 2002 and 2003 insisting thatinvading Iraq was wise and just, and spent the years after that assuring Americans that the “victorious” war and subsequent occupation were going really well (in April 2003, O’Hanlon debated with himself over whether the strategy that led to the “victory” in his beloved war should be deemed “brilliant” or just extremely “clever,” while in June 2003, Pollack assuredNew York Times readers that Saddam’s WMD would be found). Will American remain a superpower? This graph has the answer. — Eisenhower’s State of the Union address on 9 January 1958. This is my first article in a foreign publication that I have written since the announcement of my candidacy for US president. I would like to thus take this opportunity to address the vector of my foreign policy. The United States government, like much of the Western developed world governments, has lost touch with the technology upon which the power, as well as the threats to national security within our government, rests. That technology is the science of cyber engineering, and the cyber-security aspects of this science have been developed into the weapons that will be used as the main offensive means of destruction in the upcoming new age of warfare. We are on the edge of a precipice and my government is clueless - largely illiterate in the most important science to have ever existed. The next major war will not be fought with guns, ships and missiles. It will a cyber war with far more devastation than could possibly be achieved by our combined nuclear arsenals. Or if conventional weapons are used, they are likely to be our own turned against ourselves. Not a month goes by without reports of a new cyber attack. But while it's no secret either that countries across the world are beefing up both their offensive and defensive cyber security capabilities - what often doesn't get documented is how many of the major security breaches around the world are, in fact, the work of governments. State-sponsored hacker groups have the ability to worm into media networks, major corporations, defence departments and - yes - other governments and wreak havoc. There's even a sense of glamour now attached to the word hacker - popularised by groups like Anonymous, TV shows like Mr Robot and books such as Stieg Larsson's Millennium trilogy. This overview is based on known attacks: there will, obviously, be others that governments have kept secret. America’s intelligence chiefs say data that goes missing may become the least of our cyber worries. The big attacks that have been disclosed so far in 2015 involved the theft of data, and a lot of it. Some 21 million personnel records were taken from the Office of Personnel Management, likely by China, while 4,000 records, some with “sensitive” information, were stolen from the Joint Chiefs civilian email system, a theft blamed on Russia. But America’s top spies say the attacks that worry them don’t involve the theft of data, but the direct manipulation of it, changing perceptions of what is real and what is not. Director of National Intelligence James Clapper spelled out his concerns in written testimony presented to the House Subcommittee on Intelligence today. Got talent? The kind of whiz-kid computer skills that could help the government get ahead of hacker adversaries? The National Security Agency wants you. But you can't bring your smartphone. This isn't a new policy for NSA, or for any high-security building in the intelligence community or even some military facilities. Whether you work there or are just visiting, when you show up you leave your phone in the glove box of your car. And if you're a millennial, your fingers probably twitch for the duration of your time inside. The no-phone rule — and its fellow no-activity-trackers, no-tablets, no-Bluetooth-anything edicts — is a sort of emblem of the government's struggle to attract young talent lured elsewhere not only by technology access, but higher salaries and other shiny, interesting perks. "I think we're all having the same problem. It's not just a government or industry problem — it's a holistic problem in keeping people excited and satisfied in this world," Corin Stone, NSA executive director, said Sept. 9 at the Intelligence and National Security Summit in Washington. "There are obvious downsides we hear all the time, like you can't bring a cell phone in the building. We're trying to get creative about how we emphasize the mission, what we have that others don't have … we can work on things here that you can't work on anywhere else. It's exciting and it's fun and it is, in other cases, illegal — really cool stuff." 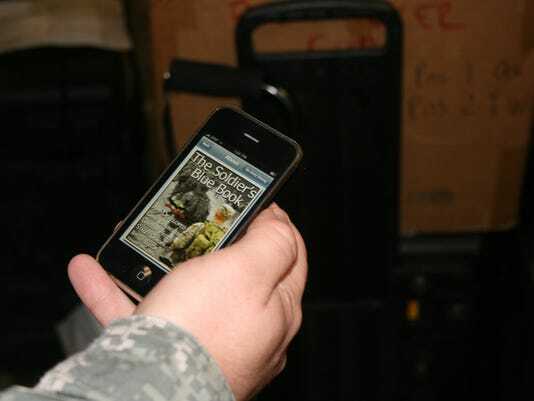 Government agencies have made significant strides in incorporating smartphones and tablets into their offices and missions, even at the Defense Department. But the caveat always has been that those devices could only be used for non-classified purposes. That's changing. A program allowing military officials to use smartphones on classified networks is gaining more momentum, with a top-secret-level option expected this fall, according to DoD CIO Terry Halvorsen. The top secret classified smartphone comes on the heels of the secret classified smartphone unveiled earlier this year by the Defense Information Systems Agency. A new pilot reportedly will test devices for use within top secret/sensitive compartmented information, or TS/SCI, classification. DISA this summer announced that their Defense Mobile Classified Capability-Secret (DMCC-S) is fully operational after an expansive pilot program test-driving the offering. Now, the goal is 3,000 users by the second quarter of fiscal 2016, which triples the number of users previously supported. In making awards for its Rifleman radio, and issuing a request for proposals for the Manpack, the Army is breaking with the strategy used in its last major radio acquisition. This time around it will pursue a non-developmental item (NDI) acquisition strategy. This approach puts the burden of development and initial testing on the shoulders of the vendors, prior to the government requesting proposals for a mature system. If products are accepted by the government, the system then goes through government operational testing to ensure system performance, integration and usability. In a more traditional contracting arrangement, the government would play a greater part in the actual development cycle. By asking vendors to carry more of their weight, “this allows the government to pick the best capability on the market, while also streamlining lengthy government development and test program stages,” said Paul Mehney, Army Program Executive Office Command Control Communications-Tactical spokesman. The National Institute for Standards and Technology (NIST) and the Defense Information Systems Agency (DISA) have taken leading roles in exploring requirements for Mobile Device Management (MDM) systems for government agencies. Mobile devices, particularly smartphones, are exceptionally vulnerable to security breaches. They are easily lost, are filled with unknown applications, communicate over untrusted networks, and are often purchased by users without regard to IT standards and security features. MDM products and platforms can help mitigate these vulnerabilities. But managing mobile devices is a complex subject with many sub-topics, including policy management, secure communications, secure storage, device authentication, remediation and auditing. What are the detailed MDM requirements and how can an MDM platform help. Based on various economic models, the high annual cost of cybersecurity will not interfere with the long-term productivity benefits of IT, according to a new research report. Researchers say the cumulative, year-over-year positive impact of information and communications technologies on the economy - or, for that matter, a single business - should in most cases far exceed the expense of investing in defenses against hackers, cybercriminals, cyberterrorists and rogue states in a single year. Technology benefits carry over and compound, making the contribution grow exponentially over time, just as economies grew exponentially across the 20th century with the use of electricity and modern fossil fuels, according to the report, Cyber Benefits and Risks: Quantitatively Understanding and Forecasting the Balance, published by the University of Denver's Pardee Center for International Futures. The research was conducted in collaboration with Zurich Insurance and the think tank Atlantic Council. With U.S. government and business networks being frequently probed by cyberspace operatives, the United States’ top spy said Thursday the greatest online threat isn’t a crippling digital strike against American infrastructure — but the near-constant, lower-grade attacks that are carried out routinely. Director of National Intelligence James Clapper also raised eyebrows among House lawmakers when he declined to describe a recent breach of servers belonging to the Office of Personnel Management as an “attack.” Rather, Clapper called the operation, which U.S. officials privately attribute to China, “a passive intelligence collection activity, just as we do.” The breach resulted in the exfiltration of the personal information of some 21.5 million current, past, and prospective federal employees. In testimony to the House Intelligence Committee, Clapper described a permissive online environment in which hackers worldwide are able to operate essentially without impunity. That environment has resulted in difficulties for U.S. officials to deter future attacks, Clapper said, and has led American intelligence officials to conclude that cyber threats will probably intensify in the near future.